Ask Mr. Smarty Plants volunteers include (left to right): Joe Marcus, Wildflower Center native plant database coordinator, emeritus botany professor Guy Thompson, retired engineer Mike Tomme, long-time Center volunteer Brigid Larson, and engineering professor Lawrence Larson.A free online service from The University of Texas at Austin’s Lady Bird Johnson Wildflower Center that has helped people around the world learn about North American native plants and landscapes hit its 10 thousandth response Wednesday, Feb. 17. Ask Mr. Smarty Plants, as the service is known, answers native plant and gardening questions daily and provides an archive of previous responses based on plant names, locations and other options. Responses to popular questions appeared from 2007 to 2010 in the Houston Chronicle and from 2009 to 2013 in the Austin American-Statesman. Ask Mr. Smarty Plants, found at www.wildflower.org/expert, provides guidance on topics such as how to grow certain native plants, what plants are toxic, or might work as a privacy hedge or for other gardening conditions. Among the unusual requests Mr. Smarty Plants has fielded include: what plants would be found in an Indiana cemetery in the early 1900s; what native shrub would fit into a line of a song referencing coastal Maine; or what to plant to avoid getting rattlesnakes in your yard (Hint: it’s not just about what’s planted). Occasionally students have tried to foist homework on Mr. Smarty Plants, but they are redirected so they can experience the same pleasure of research and learning as volunteer responders do. Wildflower Center staff and a large cadre of expert volunteers are the wizards behind the Mr. Smarty Plants curtain. More than 20 volunteers have answered questions as Mr. Smarty Plants, with some volunteers, such as former participant Barbra Medford, answering thousands of questions. For example, retired University of Texas at Austin genetics instructor Dr. Nan Hampton has answered 3,158 questions, even while traveling in China, Antarctica and elsewhere. 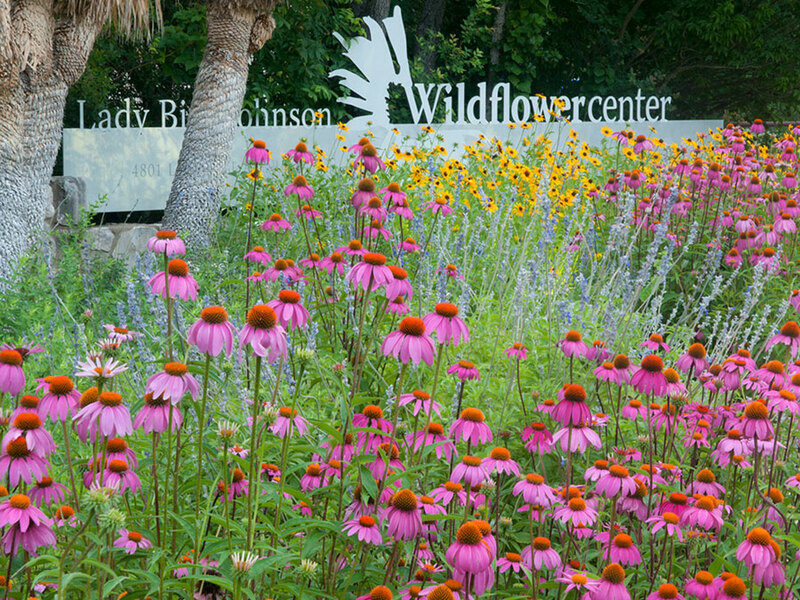 Though Mr. Smarty Plants didn’t arrive on the scene until 2005, the Wildflower Center has addressed public queries about native plants as part of its mission since its inception in 1982. To learn more about Ask Mr. Smarty Plants volunteers, explore this backgrounder.